Is it illegal to own ivory? The sale and purchase of ivory has been a very controversial practice with activists sounding the alarm over its ethical implications for years. But ivory is a beautiful material admired by millions around the world. Its use can be traced centuries back when ivory was used to make a variety of items from piano keys to dominos to even false teeth. The white material is mainly derived from elephant tusks, but can also come from many other animals including the walrus, hippopotamus and even the sperm whale. Despite its mystical beauty, ivory has been clouded in controversy because of its direct impact on precious elephant populations around the world. The laws surrounding this lucrative trade is complex and often difficult to navigate even for the most knowledgeable collectors out there. But whether you’re a passionate connoisseur of antique ivory or an amateur collector of small ivory knick-knacks, many of you may wonder if it is even legal to own this valuable material in the first place. 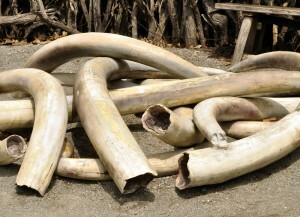 These rules are not necessarily designed to punish amateur collectors of ivory. After all, it is not illegal to own or inherit it. These rules, however, are meant to stop illegal trade activities right at the top of the criminal pyramid — before the ivory trickles down for mainstream consumption. As mentioned earlier, it is still legal for you to own the ivory you already have. But if you walk into a store and see an ivory item that you’d like to buy, it is illegal to purchase it without verifying where it came from first. Under these new rules, a seller must show you an official document from the U.S. Fish & Wildlife Service to prove where he/she originally acquired that piece from.